FilmJuice Competition: To celebrate the release of the hysterical Svengali we've got THREE DVD copies and THREE copies of the Soundtrack to Give Away! For your chance to win, simply answer this question (entry details at the bottom of page): Who stars as Dixie in Svengali? 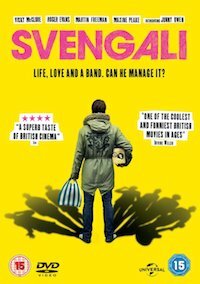 SVENGALI, the big hearted rock ‘n’ roll adventure, which Irvine Welsh called out as “one of the coolest and funniest British movies in ages,” will be out in cinemas and available for digital download from March 21, 2014. 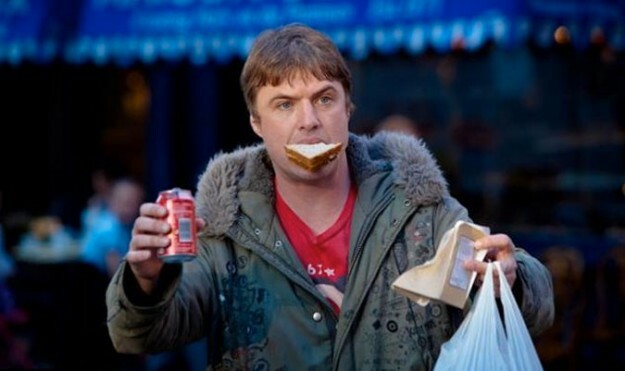 The film, featuring a cast of critically acclaimed actors such as Martin Freeman, Katy Brand and Matt Berry, along with leading music figures like Alan McGee and Carl Barât, is written by new comedy sensation, Jonny Owen, who stars as Dixie. Described as the “Rock ‘n’ Roll world’s The Office” (NME). SVENGALI, is based on Jonny Owen’s hit YouTube webisodes of the same name and features music from Jake Bugg. SVENGALI will also be available on DVD and Blu-ray on April 7, 2014. ‘The Premature Congratulations’ (a.k.a ‘The Prems’). Accompanied by his long-term girlfriend, Shell (Vicky McClure), Dixie leaves the Welsh valleys and chases his dream to London, where he must convince the band that he’s the man to help them hit the big time. Dixie soon begins to put his ‘golden ears’ to use and ‘The Prems’ start to get noticed by cutthroat music labels and iconic industry figures such as Alan McGee, but is this newfound success and recognition all it’s cracked up to be? SVENGALI is written by Jonny Owen, directed by John Hardwick, produced by Root Films and stars Jonny Owen, Vicky McClure, Michael Socha, Matt Berry, Michael Smiley and Morwenna Banks. The film also features appearances from Alan McGee, Carl Barât, Cass Pennant, Huw Stephens, Katy Brand, Martin Freeman, Maxine Peake and Natasha O’Keeffe and music from Jake Bugg.